I wanted to do a post with some ideas of how Blurb books would make great Christmas gifts - you could create different kinds and check a few people off your list in one go. And don't forget that each book you create could be ordered numerous times, if it would suit different recipients, or you could tweak and customise it with a couple of changes without having to recreate the entire book. If you need ideas, just browse the Blurb website - you can even flip through other people's books to see how they turned out! The best part? You can create your book at home, in your pyjamas, when it suits you, rather than trekking around the shops. AND I even have a discount code for you! So, here are a few ideas. If you have access to the recipient's Instagram ligin details, you could create a book just with their Instagram photos from the year. 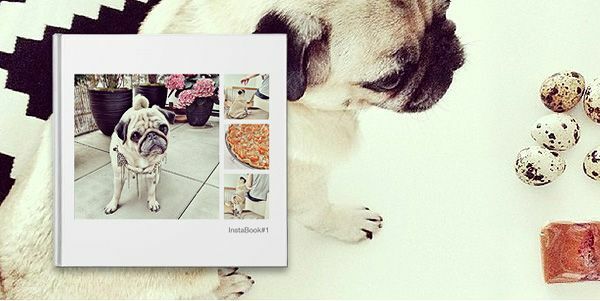 Blurb's Instagram books are 7x7 inches in size - they could even be done as stocking stuffers. A great gift for: teens, or anyone with an Instagram account - however, you will need their login details. Why not put your favourite recipes together in a handy little book? Take your own photos or keep it simple with just the recipes. Blurb has recipe book templates already built into their software, making it super easy, and there are even tutorials on the website to help you. 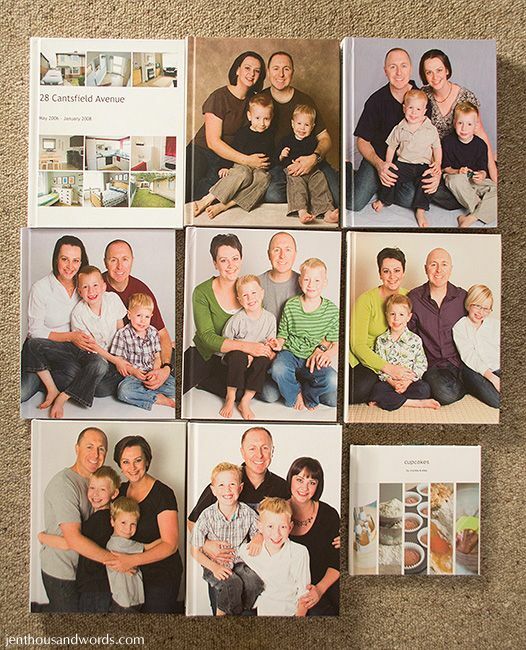 I've shown you our personal photo albums before numerous times (here's a post showing how I organise my photos and have them printed in Blurb books). I think it would be a fantastic gift to do this for someone, if you had the time and access to their photos. 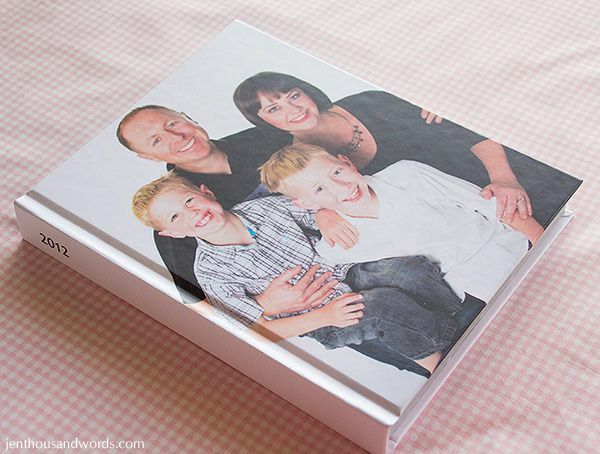 Or simply print additional copies of your own family album to share with your children or interested relatives. Did you go to Disneyland this year? Or a scrapbooking retreat? Maybe a reunion? A wedding? A fabulous birthday party? 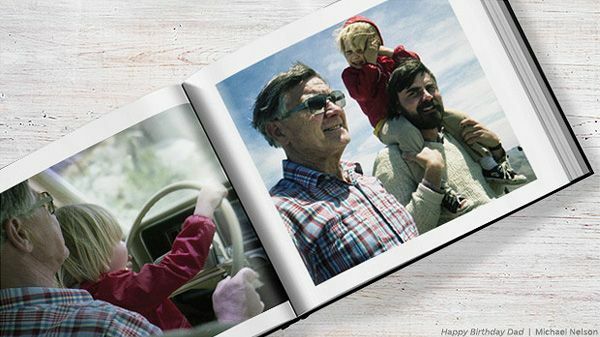 A book commemorating a particular trip or event would be a great way to save those memories and enable you or a recipient to flip through them any time they wanted. If you enjoy taking photos you could create an ABC book for a little one. Or maybe recreate a favourite story, changing the main character's name to that of your niece, nephew, grandchild, son or daughter, adding photos of them. Or you could create a baby's picture book with images that infants enjoy looking at and naming - faces, relatives, animals, flowers, places they like to go, etc. You could use photos only, words only, or a mix of photos and words. Older children will no doubt enjoy a joke book, if they are anything like my boys! By taking photos of your child's artwork, or scanning drawings, you can create a book showcasing their creativity without having to keep heaps of papers and projects. Or create a portfolio of your own creative efforts. An artwork book doesn't just need to be photos of artwork, it could be a way of getting written stories or poems into print. A book explaining what the recipient means to you is a great way of celebrating your relationship. 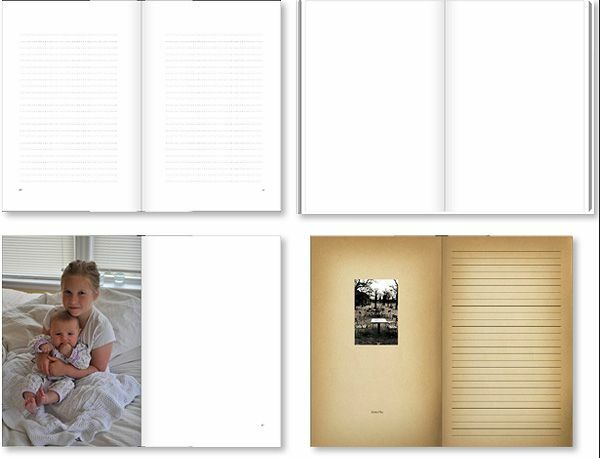 I wish I'd known about Blurb books when I created this album for my mom. You could share your memories and photos that were captured with your friend or relative, and keep a copy for yourself too. Or make a book for one of your children (or anyone, really) showcasing their achievements for the year. What about a book all about your child's sport, with all of the photos you've snapped from the sidelines? Again, you'll need the blogger's login details, but Blurb makes blog-to-book super easy - it supports Blogger, LiveJournal, TypePad, and WordPress. You simply slurp your blog straight into a book - the Booksmart software does all the work, but you can tweak and customise it later if you wish. 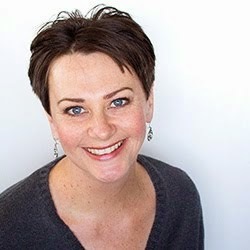 Having their blog in print would be a great gift for anyone with an online presence. I mentioned Blurb's Chicken Soup books in a recent post. We all love conventional Chicken Soup books, I'm sure, and what would make a better gift than a custom personalised one? Blurb also does planners, which you can customise with your own photos. You can also add your own details on special dates, so they are printed into the book and you don't have to add them later. You can start your calendar on any month you like - you don't have to begin it on January or at the beginning of the school year. They come in two sizes: Trade (6 x 9 inch / 15 x 23 cm) or Pocket (5 x 8 inch / 13 x 20 cm). Up to 440 pages of lined, gridded, or blank pages printed on uncoated 60# (90GSM) white paper – perfect for pen or pencil. You can add photographs inside the notebooks, and of course customise the cover. *Offer valid until November 30, 2013 (11:59 p.m. local time). Valid for print books only. A 30% discount is applied toward your product total with a minimum order of USD $60, CAD $60, GBP £60, EUR €60, or AUD $60. 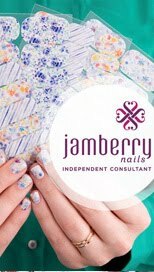 Maximum discount is USD $100, CAD $100, GBP £65, EUR €75, or AUD $100 off product total. This offer is good for one-time use, and cannot be combined with volume discounts, other promotional codes, gift cards, or used for adjustments on previous orders.